Maintenance and operation of salt baths cannot be separated. Salt baths are by nature a corrosive environment, and preventative as well as prompt corrective maintenance are a necessary part of salt bath operation for optimum results. 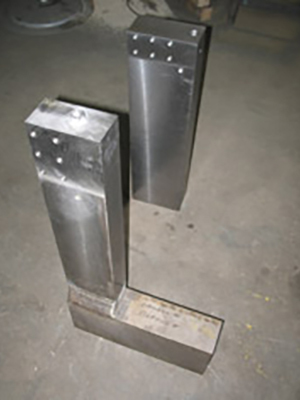 Many replacement parts are of a custom nature and have to be built or fabricated as needed. Restarting from an unexpected shutdown can be delayed by days or weeks if custom parts are not kept on hand. 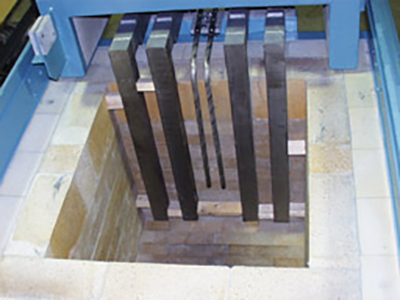 High temperature heating elements are fabricated from heat and corrosion resistant alloys for maximum service life. 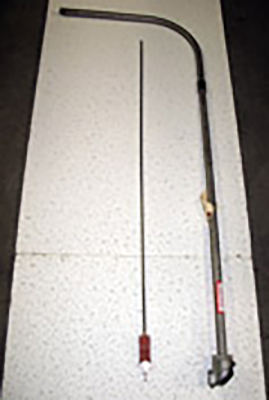 Ajax makes many custom configurations of electrodes for owners of our equipment as well as those of other brands. Savings are often possible by returning used “over the top” style electrodes for repair if the horizontal portion is still in good condition. Ajax stocks many sizes of square edged electrode bar for customers who prefer making their own repairs. 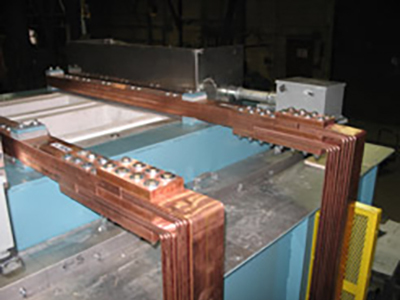 “Over the top electrodes” use solid copper connectors that are formed and drilled to custom configurations by Ajax. “Through the wall electrodes” use flexible insulated cable-style connectors manufactured by Ajax. Ajax builds it’s own heavy duty high-temperature thermocouples to rigid QC standards using premium materials for long life and reliability. Type K, J, N and S elements are available, as is lab calibration to AMS codes. 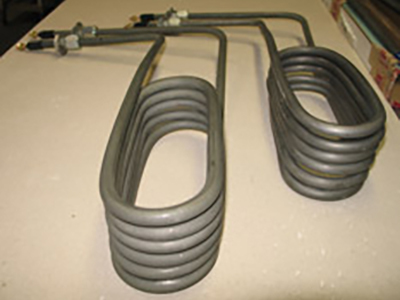 Ajax custom bends dozens of configurations of resistance heating elements for use with our equipment. Our heaters are rated 5KW 230 volts, and can be wired in series for 460 volt operation. 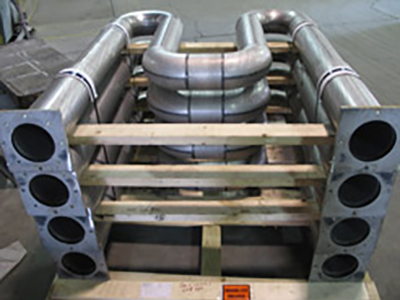 The DGT family of Ajax furnaces utilize gas-fired radiant tubes for heat treatments in temperatures ranging from 400 to 1150F. Ajax also provides gas fired burner tubes for use in other applications such as the cleaning of foundry molds in heated tanks. 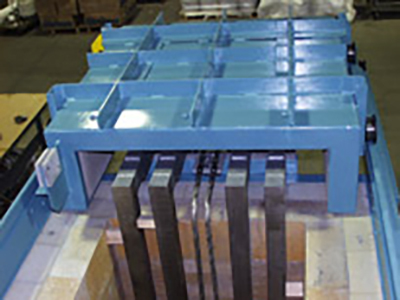 Tubes are fabricated from steel or heat resistant alloys in sizes up to 6″ nominal diameters. All tubes are thoroughly checked and pressure tested prior to shipment. 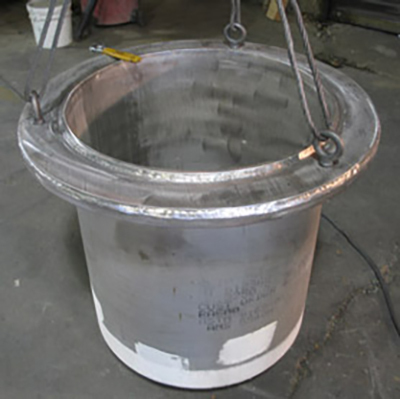 Metal pots are fabricated by Ajax from steel or stainless plate Full penetration welds are inspected and all pots are leak tested prior to shipment. Round dished-bottom pots are available. Testing: Dye penetrant, x-ray and ultrasound test reports are available when required to meet all commercial and government specifications. Ajax stocks all the brick types and shapes used to build or rebuild our ceramic pot furnaces. From super-duty firebrick to custom cast shapes, we can provide our customers repair or relining kits upon request. Relining kits for ceramic pots include precut shapes marked to correspond with installation drawing plus mortar, insulating materials and relining instructions. It is common to replace an entire furnace consisting of the steel outer shell (casing), insulation and ceramic or metal pot plus electrodes. With the prohibitive cost of on-site labor and sometimes questionable experience of transient bricklayers it makes good economic sense to trust the OEM of your Ajax furnace equipment to build an exact duplicate replacement unit. Covering the top of a salt bath furnace when it is not being used is simply sound economics. Furnace covers can reduce heat losses up to 50% during idling or down periods. Whether your cover is a lightweight low-profile pan type (1000F max) or a heavyweight high-profile manual or automated rolling cover (2400F max) Ajax can replace it to OEM specifications. 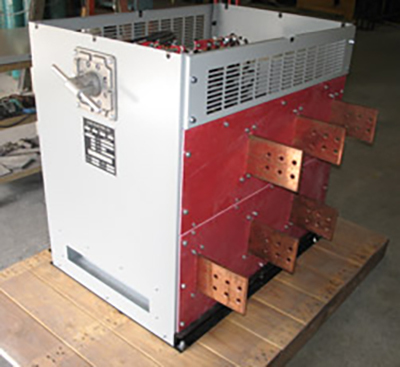 A furnace transformer could be considered the “heart” of your salt bath system and will normally function flawlessly for many years with periodic maintenance. Harsh or dirty environments with high ambient temperatures can shorten the useful life of any electrical component. Units should be shut down and vacuumed out once a year and all connections checked. Ajax Electric Co. transformers use a convenient rotary tap changing switch that allows changing secondary voltages without shutting the unit down or hiring an electrician to rewire cables. The tap changing switch is sold as a replacement part. Transformer repairs are available by returning your unit to Ajax for evaluation. It is becoming a popular practice for some of our customers to return a spare unit every five years or so for preventive maintenance. Tools and accessories are available to simplify maintenance operations. Ladles, skimmers, scrapers, bottom cleaning tools, bailing buckets, salt pumps, etc.